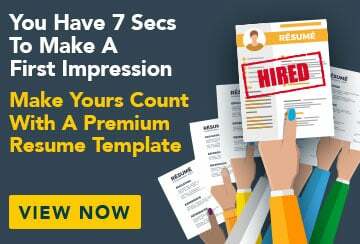 This free sample cover letter for a medical researcher has an accompanying medical researcher sample resume and medical researcher sample job ad to help you put together a winning job application. I would like to apply for the position of medical research assistant as advertised in Queensland Scientist on 26 October 2009. I recently completed a Bachelor of Science degree majoring in medical biochemistry at the University of Queensland, graduating with a distinction average. I am interested in a career in medical research, specialising in immunology. I am a motivated individual looking to develop my research and diagnostic skills, and would like to contribute to vital biomedical research. I am familiar with industry safety regulations and practice and have had laboratory experience in processing blood samples, conducting cell culture assays, performing polymerase chain reaction, DNA sequence analysis, protein purification, electrophoresis and spectrophotometry. I am also experienced in using bioinformatics, performing statistical analysis and recording sample details and experiment results, and have completed pro forma reports for communication with pathology labs and specialists. The focus area of my studies has been genetics and immunology. I have conducted seminar presentations where I examined the causes, treatments and symptoms of diseases such as diabetes and hereditary thrombophilia. My experience in critiquing previous research, empirical evidence, case studies and journal articles demonstrates not only my understanding of immunology but also my desire to be involved in the latest research in this and other areas. Furthermore, my strong attention to detail, excellent communication skills and ability to contribute to team projects for the University Students’ Chemistry Society demonstrate my team spirit. I believe I have the necessary skills and experience to be part of your Institute’s research and diagnostic services, and I am excited about the opportunity to contribute to the development of vital, cutting-edge research. I look forward to discussing my application with you further.